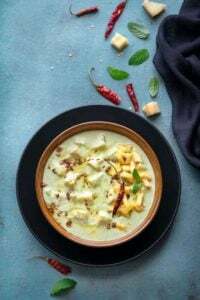 How to Make Pineapple Raita Recipe (Ananas Raita) at home? 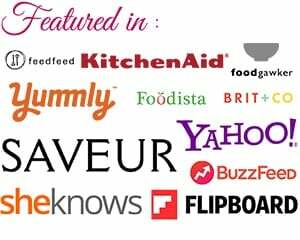 Can we make Pineapple raita with Canned Pineapple slices or tidbits? 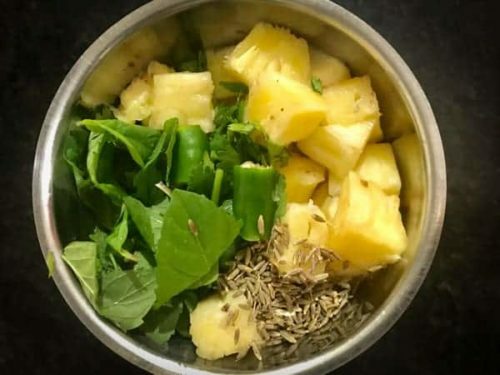 How to make Restaurant Style Pineapple Raita Recipe? To make restaurant style pineapple raita recipe, first, take a yougrt in large bowl. Then add sugar, salt, lemon juice, and roasted cumin powder along with little chaat masala and red chilli powder. Mix everything until combined well. Then, add pineapple chunks and mix. Garnish with some fresh chopped coriander leaves. If you wish, you can give tadka to the raita as well. It can be served with dishes absolutely of your choice. Be it Dal Chawal, Chole palak or Jeera Aloo, Pulao of chicken or vegetable, Biryani, Yakhni Pulao and also with do with any paratha. 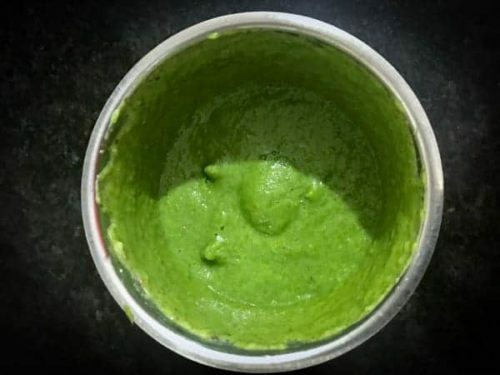 Raitas and Salads are a soul part of biryani and pulao. Honestly, I cannot imagine my biryani, pulao and such dishes without salads and raitas. To give a punch of spice and add an Indian flavor, tadka is often necessary. Like how a tadka is given in a boondi raita too. Indians and tadka are like laurel and hardy. We go with each other wherever we are and it never disappoints the combination in anything. I guess it’s time to give a shot to a delicious ananas raita. Usually, fresh pineapple chunks turns bitter when left in yogurt or milk for long hours. 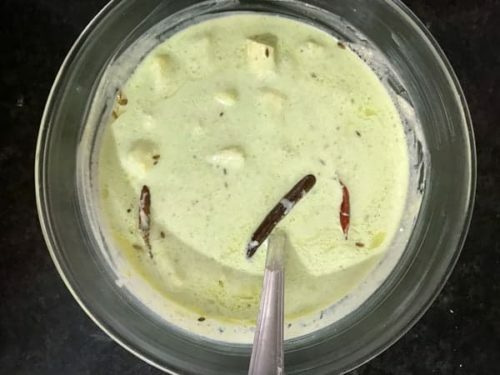 So, the best way to avoid bitterness of fresh pineapple in raita is to refrigerate whisked yogurt, pineapple chunks and masala paste seperately until ready to serve. 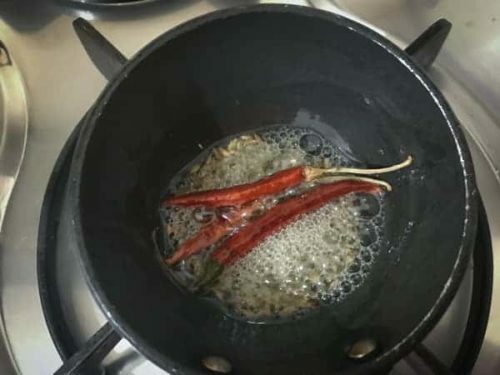 When, you are about to serve it, just mix everything , pour the tadka and serve immediately. This way you will always avoid the pineapple turning bitter in yogurt. However, canned pineapple chunks always works best to make raita as they are heated and then preserved. Heating it knock down the enzyme responsible for turning it bitter. Hence canned pineapple raita never turns bitter when made in advance also. Pineapple Raita or Ananas Raita - is an absolutely yummy Indian Raita Recipe of fresh pineapple in yogurt and spices. this raita is midly spicy, sweet and tangy yogurt based dip served as side dish to main course dishes or Indian curries, biryani or pulao. 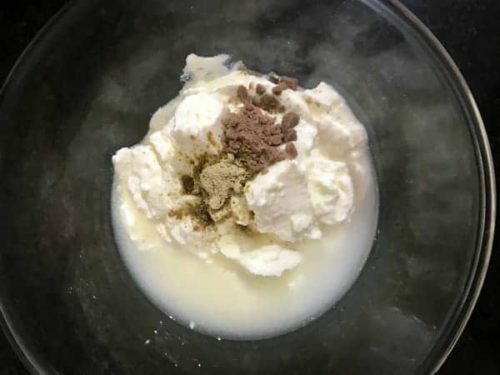 To begin with, first, add all the ingredients into a blender, that is mentioned under to make paste. Then, blend it well into a fine paste. 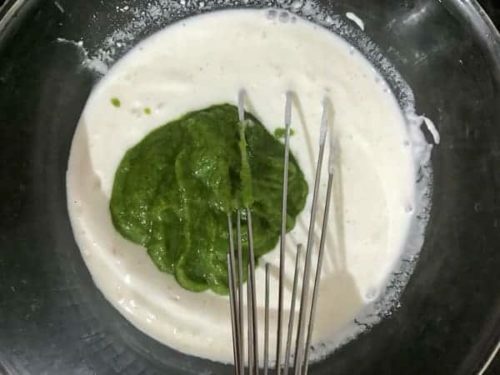 Once the paste is ready, take yogurt in a large bowl, add chaat masala, black salt, water and mix. Then, add ground pineapple chutney paste into it and mix well. Finally, pour the tadka over the pineapple raita and chill for few hours, Serve. Usually, fresh pineapple chunks turns bitter when left in yogurt or milk for long hours. 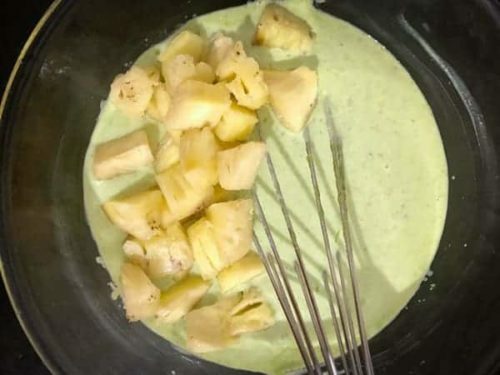 So, the best way to avoid bitterness of fresh pineapple in raita is to refrigerate whisked yogurt, pineapple chunks and pineapple masala paste seperately until ready to serve. When, you are about to serve it, just mix everything , pour the tadka and serve immediately. This way you will always avoid the pineapple turning bitter in yogurt. However, canned pineapple chunks always works best to make raita as they are heated and then preserved, Heating them knock down the enzyme responsible for turning it bitter. Hence canned pineapple raita never turns bitter when made in advance also. 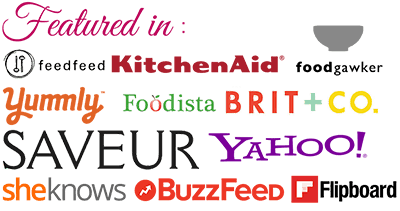 Very different recipe…Ur recipes n step by step method,Ur showing is highly commendable….